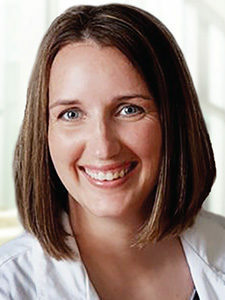 Amisty Beck obtained her associate’s degree in applied science from Eastern Oklahoma State College in Wilburton, Oklahoma, in 2001; a bachelor of science from East Central University in Ada, Oklahoma, in 2005; and a master’s degree in nursing from the University of Alabama at Birmingham in 2009, with her primary focus of study as a family nurse practitioner. Beck is certified as a family nurse practitioner through the American Academy of Nurse Practitioners. She has a variety of nursing experience in areas including medical/surgical, post-anesthesia care, emergency services and oncology. Beck assists Dr. Moussa in the care of oncologic and hematologic patients at the Oklahoma Cancer Specialists and Research Institute – McAlester Cancer Center.